The National Wireless Safety Alliance (NWSA) announced today that Mark Ciarfella, Executive Vice President – U.S. Operations at SBA Communications Corporation, has been appointed to serve on the organization’s Board of Directors. The NWSA leadership made the announcement from the Wireless Infrastructure Association’s 2018 Connectivity Expo which is taking place this week in Charlotte, N.C. The NWSA, headquartered in Fairfax, Virg. is a national non-profit assessment and certification organization established to provide thorough, independent assessments of knowledge and skills and provide verifiable worker certification in order to enhance safety, reduce workplace risk, improve quality, encourage training, and recognize the skilled professionals who work on towers and other non-standard communication structures. “The NWSA is excited to announce the addition of Mark Ciarfella to the Board of Directors,” said Executive Director Duane MacEntee. “Mark’s extensive background and experience working at a prominent international wireless communications infrastructure firm like SBA will add tremendous insight to help the organization navigate the next phase of getting worker certification programs to scale in the industry,” added MacEntee. The NWSA currently offers two industry-wide certification programs: Telecommunications Tower Technician 1 (TTT-1) and Telecommunications Tower Technician 2 (TTT-2). Additionally, an NWSA task force is currently in the process of finalizing a new certification and credential for Telecommunication Tower Foreman. This new certification will create a credentialing system for industry workers who supervise crews that work on communications structures, whether they are antenna and line crews, construction crews, or structural modification crews. Other assessment and certification programs NWSA will likely unveil in the future include Rigging, Small Cell and DAS Systems, Broadcast Structures and Fiber Optics. “I am honored to join the NWSA’s Board of Directors and look forward to contributing to the organization,” stated Ciarfella. “SBA Communications as a company is deeply committed to the NWSA’s transformative national worker credentialing programs as a means to enhance safety and quality in the industry,” Ciarfella added. Industry workers, companies and stakeholders are encouraged to visit the NWSA website at www.nws-a.org to learn more about the organization and how to begin the process of obtaining certification. Ciarfella started with SBA Communications in 2007. He is responsible for the company’s U.S. tower operations, services business and new tower development activities. Ciarfella was formerly the Vice President, New Builds at SBA where he managed the organization’s new tower development activities. 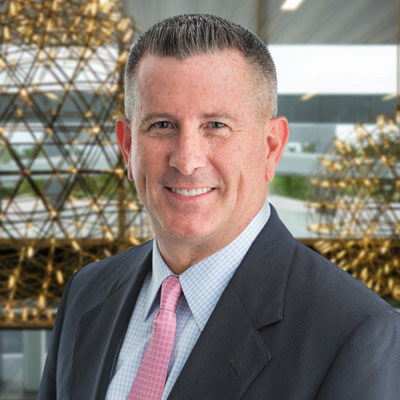 Prior to joining SBA, Ciarfella was the co-owner of a Florida-based site development services company that provided site acquisition, zoning, construction management and program management services to the wireless telecommunication industry. He has over a decade of experience in the wireless telecommunication business working directly with PrimeCo Personal Communications and as a consultant for multiple other carriers and tower companies. Ciarfella has a Bachelor of Science degree in Public Affairs from Florida Atlantic University.